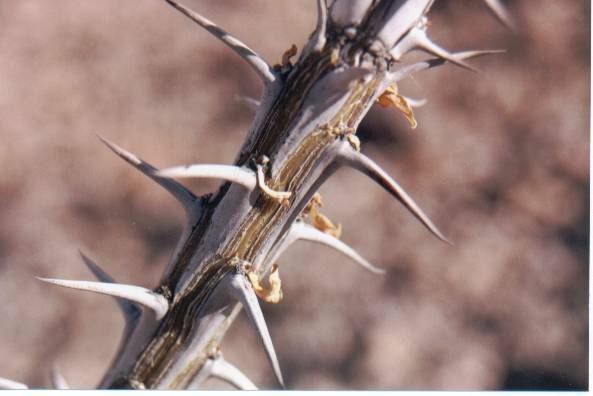 A macro shot of an ocotillo which is not in bloom. Ocotillo's are not actually a cactus, but I put it here anyway. This is near Yuma, Arizona.